Our Hitch’N Can Dual Adapter helps you move twice the cans in the same amount of time. This adapter is just what you need if you have two bins you need to move for pick up. The Hitch’N Can Dual Adapter will get your trash and recycling bins to the curb in one easy trip – it’s perfect for people with long or steep driveways. Please note the Hitch’N Can Dual Adapter is only available in Black. 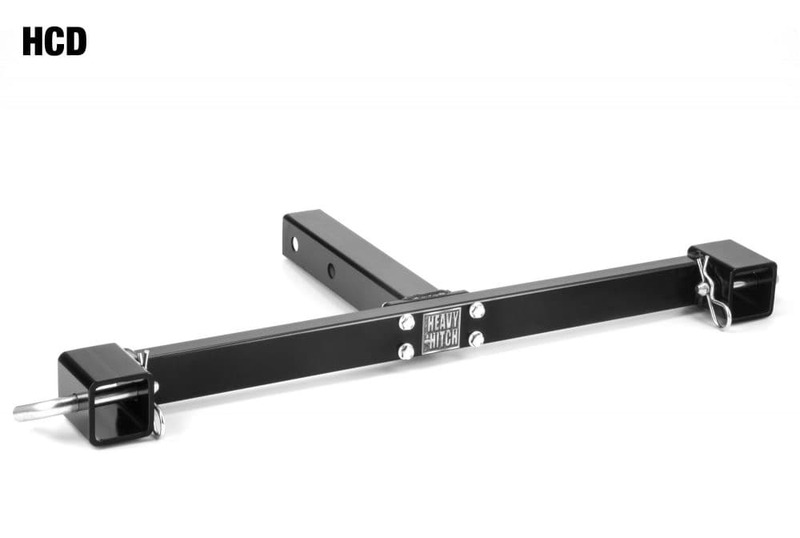 Designed to slide into a Heavy Hitch 2” receiver or any other 2” receive tube device. Uses your sub compact tractor hydraulic three point lift to raise up the trash or recycling cart to prevent damage to the wheels and injury from handling a heavy cart.